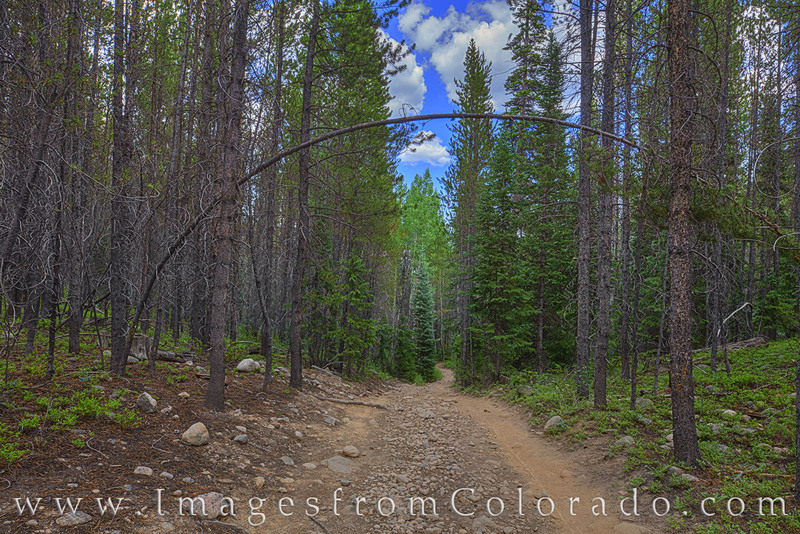 Blue Sky Trail in Winter Park, Colorado, is a great trail for hiking, trail running, or biking. It runs about 1.5 miles and connects with other trails, including Ice Hill. It runs alongside Vasquez Creek, and the rushing of the water can be heard in parts of the trail. Photo © copyright by Rob Greebon.